As an entrepreneur, your real estate portfolio will likely change drastically over time. There may be times when you are forced to lease or sub-lease some space. If you end up leasing a piece of residential real estate, you will want to know some of the important terms to include in the lease. As your business grows your real estate needs change over time. A piece of real estate that you purchased several years ago might have been appropriate at that time, but not meet your needs any longer. It is not uncommon to find yourself leasing or purchasing new space while trying to figure out how to dispose of the old space. If you find yourself holding on to a piece of residential real estate and need to lease it, there are some important lease terms you will want to include in your lease. As always, this is not an exhaustive list of terms. Laws vary from state to state, and you will want to get your draft lease reviewed by trusted legal counsel before you enter into any agreement. 1. Premises. Believe it or not, some people actually forget to define the premises. 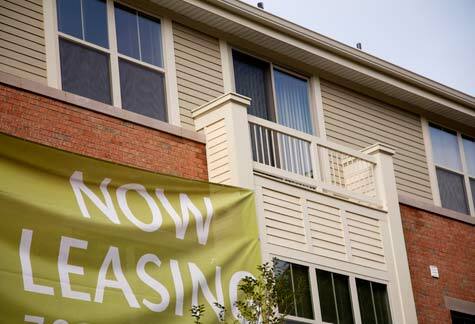 An address will do in this case, but make sure your lease specifies the property being leased. 2. Term. You should specify the length of term and any options the lessee may have at the end of the term. It is common for a residential lease to have a term of 1 year with month-to-month extensions on the back end. 3. Rent. You should specify the monthly rent and any rent changes during the term. If month-to-month options are given you may wish to specify an annual rent increase (say 3% or so just to keep up with inflation). 4. Deposit. Residential spaces almost always carry a deposit. You hold this money and are able to use it to offset any damages at the end of the lease. Some states may require you to pay interest on the deposit for any amount you return to the tenant. 5. Use of premises. Believe it or not, you need to specify that the Tenant doesn't do anything unusual at your place (such as mix and sell chemicals for instance). 6. Assignment and sub-letting. You don't want to screen one tenant and then have them lease to someone else, especially in residential real estate. You at least need to have consent in this process. 7. Alterations/Maintenance. Be sure to specify the kind of maintenance that is expected from the tenant as well as any alterations that are allowed (if any). 8. Utilities. Specify who is in charge of paying utilities for the space. 9. Damages / Inspections / Condition of space. You should include a note specifying that the Tenant has seen the space and takes it "as-is" without any representations on your part. All damages should be noted, so that the tenant is responsible for any additional damages when the lease expires. As Landlord, you should also specify your right to inspect the property and the kind of notice required to do so. 10. Animals. Always specify if animals are allowed and how many. You can hold a separate deposit for tenants with pets. Believe me, there will be damages so you will want to know if pets are involved. 11. Governing Law. Although it seems obvious, you should state that the law of your current state will govern any legal disputes. This is actually quite important. As the Landlord, you want legal counsel to review your lease to ensure that it is on the up-and-up with your local laws. Once you have done this you want to make sure that any conflicts with your tenant are resolved according to that state's laws.